There are often times when an OKC bail bondsman will need to help an Oklahoma criminal defendant to find an attorney to represent him or her in court. Legally a bail bondsman in Oklahoma must recommend at least three different attorneys, in order to prevent favoritism. However, what qualities should a person writing bail bonds in OKC look for in a criminal defense attorney in Oklahoma? Actually, there are several important key traits and aspects each reputable Oklahoma criminal defense lawyer should have . . . Whether a petty crime of larceny to bank robbery or murder, it is true that people often try to “buy the best justice they can afford.” Public defenders are often under-trained and overburdened, while private attorney often have more access to more resources and time to work a legal case. However, that being said, not everyone can afford a high-priced lawyer, so it is important that clients get the best bang for their buck. Attorneys who have about 5-10 years of legal experience are often wet enough behind the ears to do a noteworthy job, and yet not so experienced that they charge exorbitant prices and may not want to work as hard nor as long on a case as someone younger. These individuals usually afford a great bargain and some important experience. Find out where the criminal defense lawyers in OKC went to school and what work experience they have had. A graduate from Georgia State, Oklahoma City University, or Harvard University might have had a better education than, say, a graduate from the University of Oklahoma. Likewise, a criminal defense attorney in Oklahoma like Dustin Phillips, who has had experience working for the Oklahoma County District Attorney’s Office, will also tend to fare a lot better than, say, someone who has not. Criminal Defense attorneys in Oklahoma City also tend to have either good or bad reputations. Oklahoma criminal defense lawyers like Dustin Phillips, Charles Broadway, Cesar Armenta and Haley Potts often receive numerous outstanding reviews from clients on their Google Plus pages, while less reputable criminal defense attorneys in OKC tend to receive negative ones. 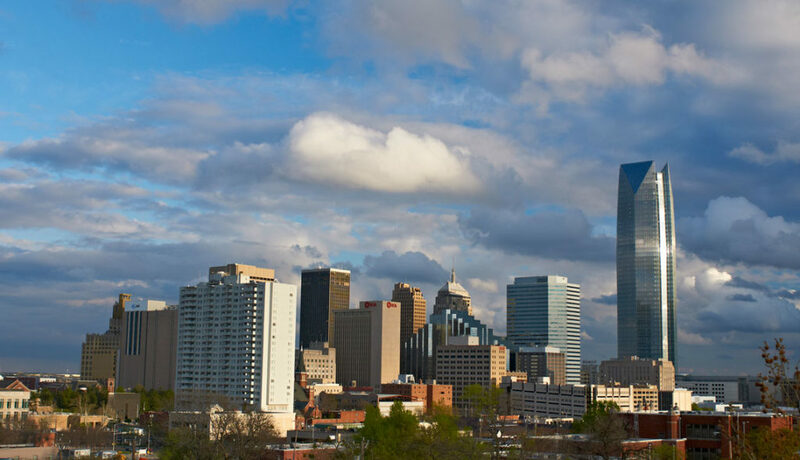 A bail bondsman in OKC should never hesitate to check with the Oklahoma Bar Association (OBA) to find out more about a criminal defense lawyer in OKC, prior to recommending him or her to clients. Sometimes people file complaints with the OBA against attorneys for various reasons, and this information can sometimes prove to be helpful. There should be some verifiable record of success that a criminal defense attorney in OKC has had. How many cases has he or she won or lost? How many cases has that Oklahoma criminal defense lawyer ever tried? If the total number of total cases the criminal defense attorney in Oklahoma won is very small compared to the total number of cases he or she has ever tried, then it may be best for the bail bondsmen in Oklahoma City to recommend other people. One thing to also consider though is the number of cases a criminal defense lawyer in OKC has settled. Does she or he always try to settle every case each time, rather than go to trial? Does this Oklahoma City criminal defense lawyer take unnecessary risks by going to trial when he or she *should* be pushing his or her clients to try to settle? The attorney should have some kind of verifiable statistics, and former clients of the criminal defense attorney in Oklahoma City might have some invaluable insights. These are just a few of the many things that a someone writing bail bonds in Oklahoma City should consider before recommending any criminal defense lawyer in OKC to a client of his or hers. Every OKC bail bondsman should remember that he or she literally has his or her clients’ lives in his or her hands, so carefully choosing a criminal defense attorney in Oklahoma City to recommend is important. The wrong recommendation could unfairly land a defendant in jail for a long time. Please remember that the final decision belongs to your client.